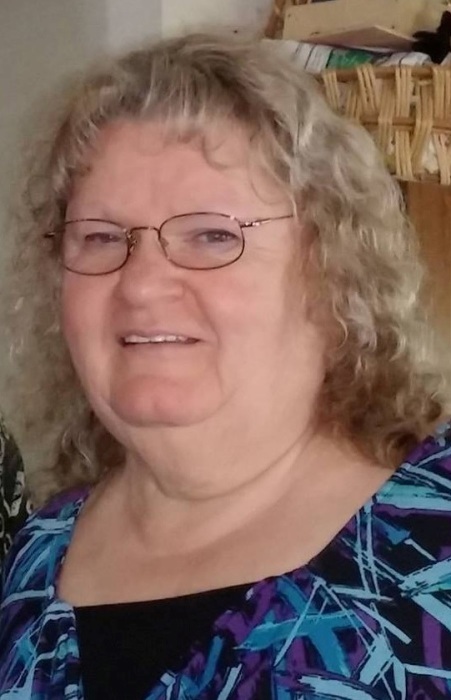 Myra Rose “Midge” White Pietila, 70, of Arvada, Colorado, peacefully went to be with the Lord on Saturday, September 1, 2018 at the home of her daughter in North Pekin, Illinois. Born February 6, 1948 in Peoria, Illinois to Clifford Talmich and Rose Marie (Winkler) White, she married Edwin Nels Pietila, Jr. on September 18, 1985 in East Peoria, Illinois. He died April 26, 2015 in Arvada, Colorado. She was also preceded in death by daughter, Michelle Dawn Blair Curtis; her parents; two brothers, Clifford Talmich White, Jr. and James Robert White; and her father and mother-in-law, Edwin and Thelma Pietila. Surviving are one daughter, Myra Jane (Rick) Schatzman of North Pekin, Illinois; five grandchildren, Lukas Edwin Bolen, Alexis Marie Curtis, John Ross Curtis, Bailey Lee Curtis, and Zander Talmich Schatzman; one brother, Clifford (Carol) White of Pima, Arizona; one nephew, JR (Julie) White of Pima, Arizona; three sister- in-laws, Evelyn (Fred) Komppa, Irene Neal and Beverley Pietila and two brother- in- laws, Rodney (Robin) Pietila and Willard Pietila, all of Minnesota; and many nieces and nephews. Myra was a 1966 graduate of Pekin Community High School in Pekin, Illinois. Myra worked many jobs throughout her life and was amazing at everything she did. She touched many lives while being a hairdresser, working at Caterpillar, working in the deli at Nyman’s Market, waiting tables in Sunnyland, Illinois and running the phone system for Storage Tek. She ended her working career in 2014 at Hewlett Packard as a network phone engineer. Myra loved books, watching NASCAR races with her husband, traveling, bags (all kinds of bags, lots of bags) and her family. We are all so lucky to have had her in our lives. She gave so much and expected so little. What an amazing blessing she was to us all. She attended New Covenant Church of God in Mapleton, Illinois. Local visitation will be from 4 to 6 p.m. Tuesday, September 4, 2018 at Preston-Hanley Funeral Homes & Crematory in Pekin, Illinois. Her funeral will be at 1 p.m. Friday, September 7, 2018 at New Liberty Southern Missionary Baptist Church in Morgantown, Kentucky, where a visitation will be from 11 a.m. to 1 p.m. Friday at the church. Burial will follow at New Liberty Cemetery. Local arrangements are under the direction of the Jones Funeral Chapel. Memorial contributions may be made to Christian Women Connection at New Covenant Church of God, 7023 West School House Lane, Route 24, Peoria, Illinois 61607.